The saying goes “It takes a village to raise a child,” but I would like to change that. 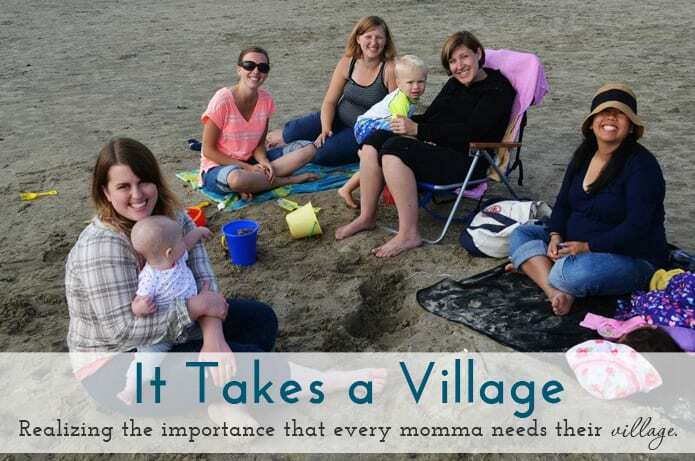 Maybe, just maybe, that saying should stop at “It takes a village!” Over the last six months I have learned the importance of community and being surrounded by people to support me and share their all-knowing-knowledge with me. Being a first time mom, there are a lot of unknowns. I very quickly learned that to be the best mom that I can be, I needed to rid myself of my insecurities and failures and admit I don’t know it all. That’s how my village, as I like to call it, came in to existence. Over the last 32 weeks I have been given countless tips and little nuggets of advice from friends, acquaintances, and even strangers, about the little one growing inside me. There is no way I could do this on my own! We all need people to share the burdens, the questions, and the what-ifs with. I have a core group of ladies I can always go to with my questions and I’ve learned that no question is stupid. This summer we spent a weekend at the beach where they let me pick their brain. One friend just had her first baby, another has an almost two-year-old, two of them are pregnant with their second, and another is pregnant with her third. We all may be at different stages in our lives, and some may be 10 years older than me, but these ladies have my back. When I’m having a hormonal breakdown about whether or not we should cloth diaper, they answer my questions. When someone tells me I’m an idiot for thinking I can do an all-natural birth, these ladies back me up. And I know that if I end up not being able to do it they will be right there telling me I did what was best for me and my little one. A few Sundays ago, during the greeting time at church, I mentioned something about not knowing what types of clothes to register for and a friend started spewing off details like if my baby is skinny, shop at Carters. Fat and short? Shop at Target and OshKosh B’Gosh. She also explained that in no circumstance should I register for snap sleepers because those are a pain in the you-know-what when you’re half asleep trying to change a quick diaper in time to get some shut eye before your next feeding. How the heck would I know these things unless I had these ladies? This is just one of the many precious life lessons I have learned while being pregnant. It really does take a village. Community is so important. One of the best decisions I ever made was to join a local mom’s group on Facebook. This group has over 8000 members and at the drop of a hat I could ask a question and get 20 responses in a matter of minutes. It has been so nice knowing at any time of the day I can go to them with a question. These ladies, mostly “strangers,” have also offered up bags of used baby clothes, books, toys, newborn headbands, along with tidbits of advice. Not everyone may want to give you their used clothes but find some other moms to remind you you aren’t alone. 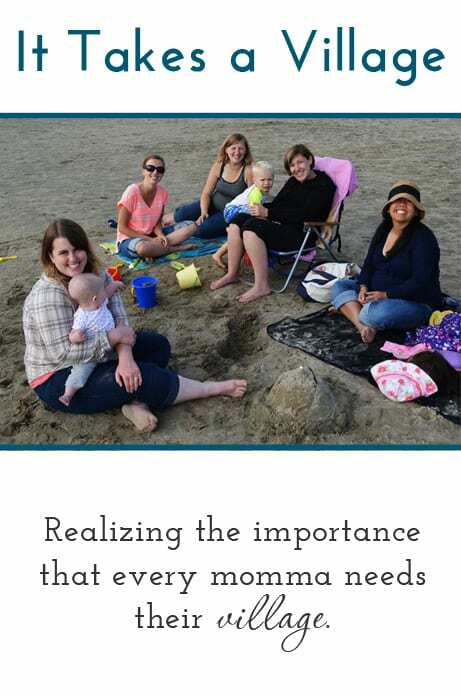 You need others in this with you because it really does take a village to be a momma, and that’s how it’s meant to be. You aren’t alone and I challenge you to find a village of your own if you don’t have one already. To those of you that have found yours, where have you found your village?